Many years ago, people in Germany believed storks brought good luck to a family. Storks sometimes nested on their roofs. The people believed storks could bring babies. 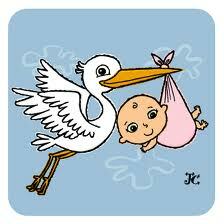 We know that storks don’t really bring babies, but they are interesting birds. Storks live in swamps and wetlands. 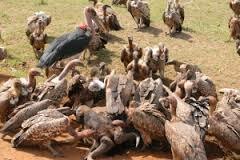 That’s not all about storks! Most storks live in warm, tropical areas in Florida, South America, Africa, India and Asia. Most storks live in warm, tropical areas in Florida, South America, Africa, India and Asia. A few storks live in cold areas and migrate south in the winter. Storks live in swamps and wetlands. They use their long, deep bills to catch fish, frogs and other small animals. The people believed storks could bring babies. We know that storks don’t really bring babies, but they are interesting birds. Some storks are like garbage men. They eat dead or dying animals and keep the area clean. Storks are heavy birds. They can’t fly very far by flapping their wings. Instead, they glide on warm air currents called thermals. 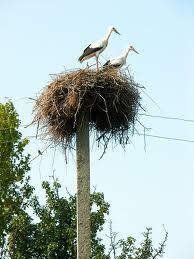 Storks make huge nests in trees, on cliffs, on roofs or even on the tops of telephone poles. The nests are used year after year. They can be 9 feet wide or larger. Storks can’t sing the way most birds can. They can hiss or screech. They also clatter their bills together. Storks make huge nests in trees, on cliffs, on roofs or even on the tops of telephone poles. A video footage of a stork feeding a snake to its babies. Question: How do storks feed their babies? Answer: Both the moms and dads spit up half-eaten fish and frogs for their babies. Question: Do storks live alone? Answer: Sometimes, but more often they live in colonies, or large groups. 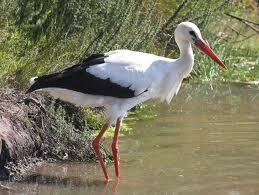 Enjoyed the Easy Science for Kids Website all about Storks info? Take the FREE & fun all about Storks quiz and download FREE Storks worksheet for kids. For lengthy info click here. Declan, Tobin. " Fun Stork Facts for Kids ." Easy Science for Kids, Apr 2019. Web. 20 Apr 2019. < https://easyscienceforkids.com/all-about-storks/ >.